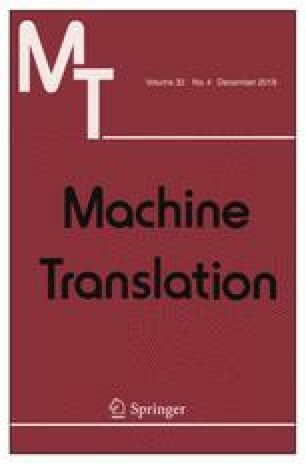 The use of neural machine translation (NMT) in a professional scenario implies a number of challenges despite growing evidence that, in language combinations such as English to Spanish, NMT output quality has already outperformed statistical machine translation in terms of automatic metric scores. This article presents the result of an empirical test that aims to shed light on the differences between NMT post-editing and translation with the aid of a translation memory (TM). The results show that NMT post-editing involves less editing than TM segments, but this editing appears to take more time, with the consequence that NMT post-editing does not seem to improve productivity as may have been expected. This might be due to the fact that NMT segments show a higher variability in terms of quality and time invested in post-editing than TM segments that are ‘more similar’ on average. Finally, results show that translators who perceive that NMT boosts their productivity actually performed faster than those who perceive that NMT slows them down. This work has been supported by the ProjecTA-U project, Grant Number FFI2016-78612-R (MINECO/FEDER/UE), and by the ADAPT Centre for Digital Content Technology which is funded under the SFI Research Centres Programme (Grant 13/RC/2016) and is co-funded under the European Regional Development Fund.